West of Shigatse. Tibet. 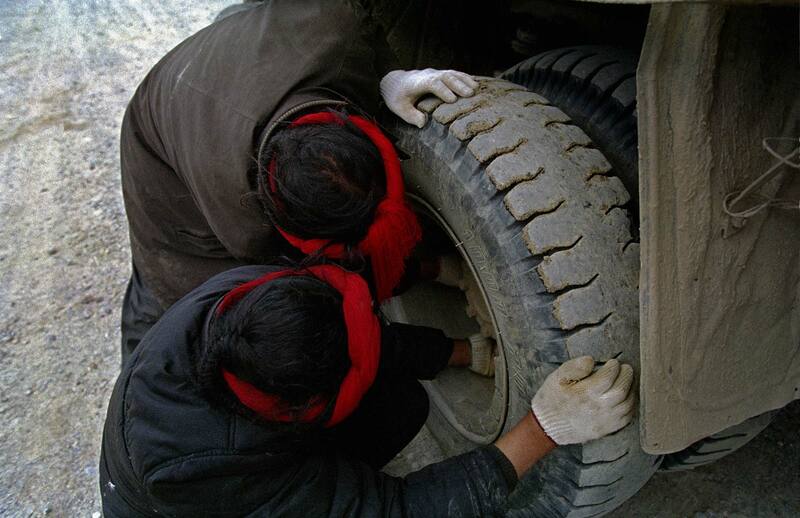 July 2007 Tibetan men fixing a wheel.